The Belgian striker netted another brace for Manchester United in a fantastic game at Old Trafford. Romelu Lukaku's second brace of the week propelled Manchester United into the top four with a dramatic victory that was "just like the old days" according to manager Ole Gunnar Solskjaer. The Reds now sit one point after Arsenal drew with Tottenham Hotspur earlier in the day. United were off colour in the first half as Yan Valery put the visitors in front, but responded before the hour mark through Andreas Pereira and Romelu Lukaku. Though Solskjaer's men then looked comfortable, a sublime free-kick from James Ward-Prowse flipped the tables once more before Lukaku delivered an 89th-minute winner. United are now only three points behind Tottenham, having trailed Spurs by 13 points when Solskjaer took over in December. By the time a clash of heads left Scott McTominay sprawled on the floor in the seventh minute, United had already tested Angus Gunn repeatedly. The young English goalkeeper tipped a Lukaku effort around the post and the corner count rapidly rose. The enforced stoppage to deal with McTominay’s head injury let Hasenhuttl’s yellow and blue Saints compose themselves. A Vestergaard header fizzed over the bar from a Ward-Prowse corner and Bertrand will have justifiably felt unfortunate when he craned his neck up from the floor and saw referee Attwell wave away claims for a penalty. Smalling had brought him down. A furiously struck effort gave Southampton their deserved lead and 20-year-old Valery celebrated his first senior goal. The Frenchman stepped into space, collected an Austin pass and gathered himself with the time to do so. His deliciously swerving effort beat De Gea when the United goalkeeper could have kept the scoreline level. 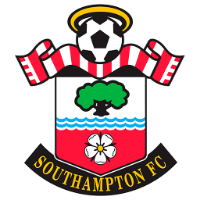 Had it not come in such emphatic style, it’s likely Southampton would have continued probing dangerously with United floundering. Instead, the home side somewhat wrestled back the game, though lacked control in doing so. Rashford and Lukaku both poked a toe at a Luke Shaw cross, only for Rashford’s touch to take it away from his teammate who then mistimed a header from a fantastic Pereira delivery. Smalling saw Rashford hook back a header that was creeping past the left post but no further opening could be carved out by a disjointed United side. 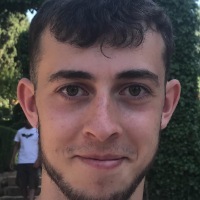 It took the introduction of Diogo Dalot and, perhaps more notably the departure of Alexis Sanchez, to change United's fortunes. The Chilean went off with injury five minutes after the re-start and Dalot added much-needed penetration and incision from the right flank. The Portuguese full-back crossed for Rashford who headed wide. Dalot then teed up Pereira to score a goal even sweeter than Valery's. An oft-berated midfielder who has lacked confidence and opportunities, Pereira struck so sweetly that one knew his 25-yard effort was curling into the top right corner before it had reached that perfect spot. Faces at Old Trafford were still grinning at the brilliance of Pereira's equalising strike when Lukaku completed the second half comeback, courtesy of a Pereira assist. The Brazilian, buoyed by his goal six minutes earlier, manoeuvred well to maintain his balance and poked the ball into Lukaku's feet. For the third time this week, the Belgian pointed to the sky in celebration after cutting inside past Bednarek and finishing accurately into the bottom corner. With Old Trafford woken from its stupor, United continued to push forward with energy and intensity. And yet, by way of a stunning James Ward-Prowse free-kick, Southampton scored the next goal, a strike to shake the comfort out of a United side who had looked settled for the first time that afternoon. Ralph Hasenhuttl spoke of his new-found trust of Ward-Prowse in mid-week. A scorer of great goals, the English midfielder trumped the efforts of Valery and Pereira with his postage stamp inside-of-the-boot strike from 25 yards. And yet, another superb strike was yet to come. Southampton and United toed and froed for a tense final 10 minutes and as Solskjaer took to the touchline to bring on youngster Tahith Chong, the Norwegian was forced to pause his wisdom-unloading. The interim boss watched an under-pressure striker rip his top off in celebration following a clinical effort from the edge of the box into the bottom right corner. 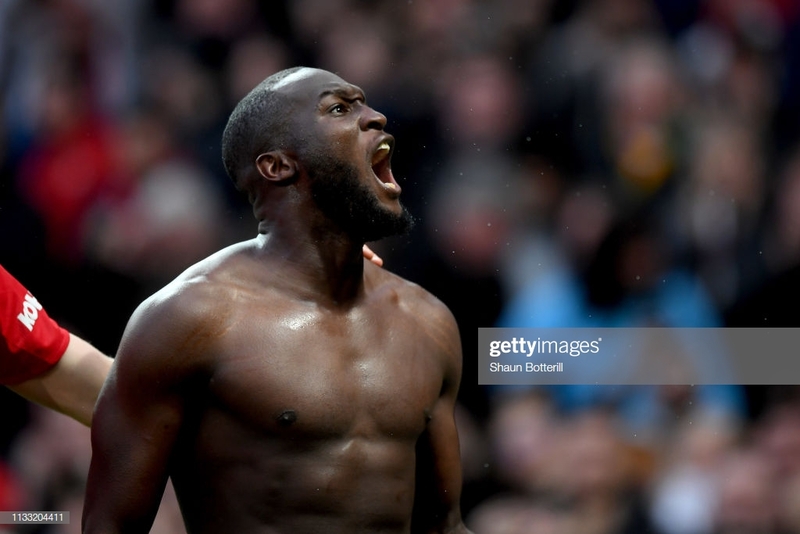 Lukaku now has four goals in a week and those goals have put Manchester United in an excellent position going into the final stretch of the season. The Portuguese replaced Alexis Sanchez and changed the game for United. His incision in the wide areas and ability to cut inside and wreak havoc with Southampton's shape was vital. He teed up Pereira for the first United goal but it was his energy on the right flank that was key. Though it was forced by an injury to Sanchez, Solskjaer's decision to bring Dalot on and switch United's shape was excellent. Pereira pushed further up while Young dropped into a back three. Dalot and Shaw's directness on the wings as wing-backs stretched Southampton and created United's two goals. Dalot, Pereira, Lukaku and McTominay have all been given chances from the start due to United's ongoing injury crisis. Lukaku has responded with four impactful goals in one week, Pereira with two fantastic performances, McTominay with comparison to Darren Fletcher and Dalot has caused havoc as a right-winger. United were too reliant upon their first-choice XI before the enforced changes. Now, it's not just a select group of 12 or 13 players who are performing under Solskjaer. Although Dalot and Pereira were superb in mounting the United comeback and there is too great a tendency in football to give goalscorers this award, Lukaku silenced his many critics with a storming performance in the second half. He, like his teammates, was underpar in the first half but his two goals were well taken and he was sharp throughout the afternoon.